Dmitry Yevgenyevich Rybolovlev was born on 22 November 1966, in Perm, Russia, and is a businessman principally known for his ownership and development of Uralkali, a company largely producing potash. He is also a media target as a result of his long-running divorce proceedings with his ex-wife, Elena, one of the largest settlements ever. So just how rich is Dmitry Rybolovlev? As of late 2015, and following the divorce settlement with his ex-wife, Dymitry is still estimated by authoritative sources to enjoy a net worth approaching $10 billion, amassed largely from his various business interests since the late 1980s. Dmitry’s parents were both doctors, and he graduated as a cardiologist from the Perm Medical Institute, but, he soon moved into business as Russia became less dictatorial, and founded Magnetics with his father, offering radical magnetic field treatments. However, trading in commodities rather than cash actually brought him profits which enabled expansion into securities trading, among the first permitted in Russia. His net worth had a solid start. Rybolovlev moved quickly, even establishing a bank in 1994 and buying into local companies, but then realising these assets within a couple of years to concentrate on the potash industry, specifically through the company Uralkali. Over the next 15 years, the company grew steadily and profitably both by expansion of operations, reform of management practices resulting in increased labour efficiencies, and in 2005 a merger to form Belorussian Potash Company. This company was listed on the London Stock Exchange in 2007, and a concurrent rise in potash prices saw Dmitry’s net worth benefit substantially. Again, Dmitry moved on, if less successfully this time, as he sold a substantial part of his shares in 2010 for an amount reputed to exceed $5 billion, and invested in the Bank of Cyprus, which unfortunately was not a stable or as financially viable as resource stocks. 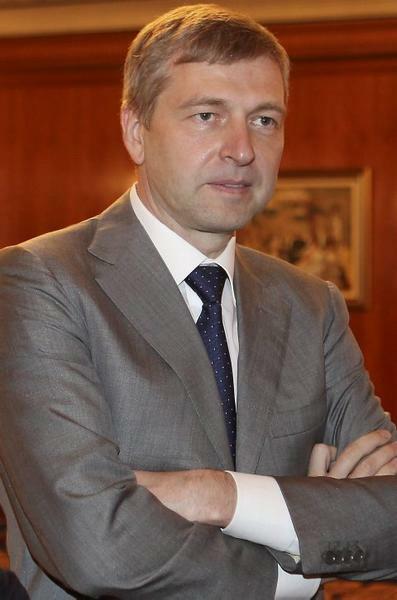 In fact it was only saved from bankruptcy in 2013 by the intervention of the Cyprian government and European Central Bank, from which Rybolovlev emerged largely unscathed, with his net worth intact, especially as he had subsequently sold his remaining interest in Uralkali in 2011, so at least maintaining his nominal net worth. In addition to his direct business dealings, Rybolovlev has purchased real estate in several countries around the world through a trust set up in his daughter, Ekatarina’s name in 2008, worth several hundred nillion dollars. These include his current residence in Monaco, valued at over $200 million. He has also invested seriously in art work, including paintings by Picasso, Rodin, Gaugin and Modigliani, the values of which are included in his overall net worth. In his personal life, Dmitry Rybolovlev met and then married Elena in 1987 while they were still at university. They have two daughters. They separated in 2008, and entered into financial arguments, initially settled at $5.7 billion by a Swiss court in 2014 – he had moved his family to Switzerland in the 1990s for safety – but reduced to $800 million on appeal, after which an agreement between the two has now been finalised, but is still a contender for the largest such settlement ever. Regardless, Rybolovlev is also a philanthropist, including contributing to the re-building of classic palaces and monasteries in Russia, and the construction of a Russian orthodox church in Cyprus.